Posted on Saturday, September 1st, 2007 at 6:30 am. Subscribe to the comments feed. Both comments and pings are currently closed. Post on your own blog. Feedback noted. I understand how painful it is to get to SlideShare from S5. Morgan, I just tested it and it seems to work. 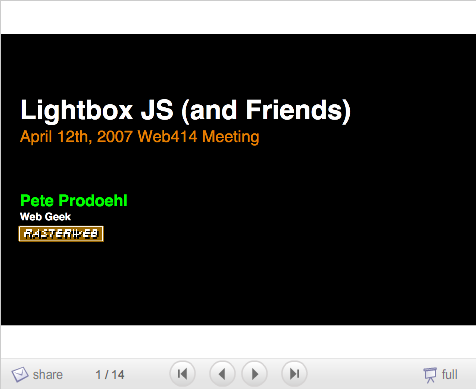 Since it’s hosted on SlideShare’s servers, it may have been a problem on their end.